5. Say, "Enough!" to snuff. Chewing tobacco, also known as "dip" or "snuff," is a popular habit in some groups, especially among many male teenagers. They mistakenly believe it's less harmful than smoking cigarettes. However, in addition to causing mouth cancers, chewing tobacco causes the gums to recede, a major cause of gum sensitivity and decay. Just as there is no safe cigarette, there is no safe tobacco. 1. Covering exposed Root surfaces. If receding gums are the cause of yourSensitive teeth treatment in Pune, your Best dentist in Pune might apply a sealant to cover the exposed tooth Roots. Our periodontist might suggest you different Root coverage procedures, if required. 2. Root canal. If your sensitive teeth cause severe pain and other treatments aren't effective, our Good Dentist in Pune might recommend a Root canal treatment in Pune a procedure used to treat problems in the tooth's soft core (Dental pulp). We not only make you aware of how to prevent teeth sensitivity by making simple changes in your oral habits but also advise right treatment if needed to eliminate tooth sensitivity. 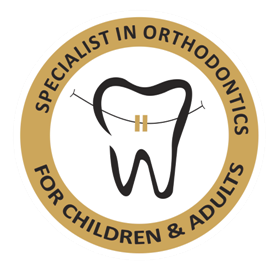 B) Professional Dental treatment at FDOC:. 1.Covering exposed Root surfaces. If receding gums are the cause of your sensitive teeth, your Best dentist in Pune might apply a sealant to cover the exposed tooth Roots. Our periodontist might suggest you different Root coverage procedures, if required. 2.Root canal. If your sensitive teeth cause severe pain and other treatments aren't effective, our dentist might recommend a Root canal — a procedure used to treat problems in the tooth's soft core (Dental pulp). Tooth sensitivity, also described as a short, sharp pain most frequently occurs when eating or drinking hot or cold food and drinks. You may also feel discomfort when consuming sweet or sour food and drinks, or when you brush your teeth and rinse with cold water. Many adults have only occasional tooth sensitivity. Some adults experience chronic pain. Tooth sensitivity may be an indication of an underlying Dental problem. Please consult your dentist. By far the most common cause of tooth sensitivity is exposed underlying layer of the tooth – the dentin, the hardened tissue just beneath the tooth's enamel that contains microscopic nerve fibers. Dentin can get exposed as a result of Dental decay, overconsumption of acidic drinks , faulty brushing technique, or gum recession due to periodontal disease. 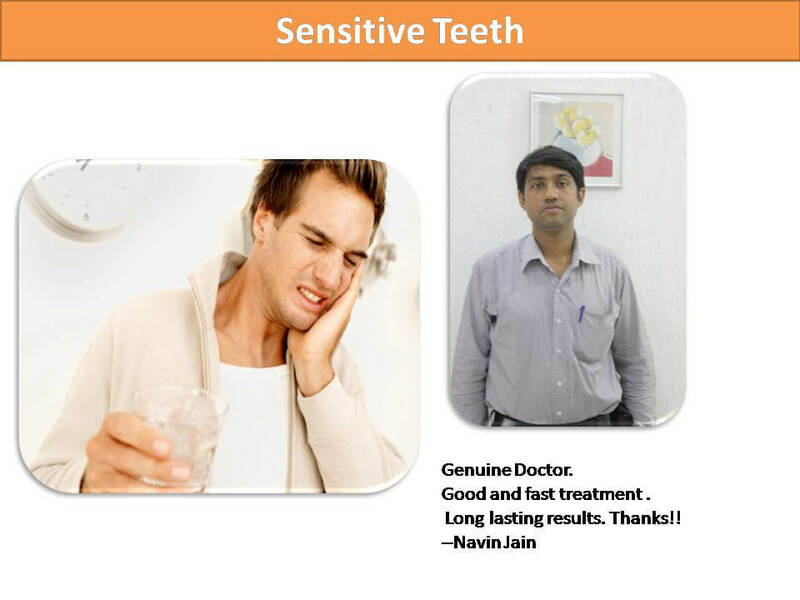 Regardless of the cause, exposed nerves make the teeth sensitive treatment in Pune. Factors causing tooth sensitivity are: 01. Attrision or erosion of the outer layer of teeth resulting in exposure of nerve fibres. 03. Recession of the gums. 08. Your age. Tooth sensitivity is highest between the ages of 45 and 60. 09. Acidic food. citrus fruits, tomatoes, pickles and tea,cofee. 10. Wearing off of the outer layer of teeth due to excessive biting forces. How can I protect myself against sensitivity? Brushing with a sensitivity toothpaste or a gel is a Good way to relieve sensitivity. In addition, you should avoid brushing too hard and to use a soft-bristled toothbrush specially designed for sensitive teeth. Taking Good care of your teeth and seeing your dentist regularly can also help protect against conditions that contribute to sensitivity, such as Gum disease treatment in Pune, cavities and gum recession. My teeth are only sensitive sometimes. Is this common? Yes. Many adults have occasional sensitivity to hot, cold or sweet beverages and food. Others suffer from constant pain. Regardless of the frequency of your pain, let your dentist know. They can recommend proper treatment for tooth sensitivity. le, even young people, and can start at any time. Often, tooth sensitivity while bothersome, is not usually a sign of a serious Dental condition. 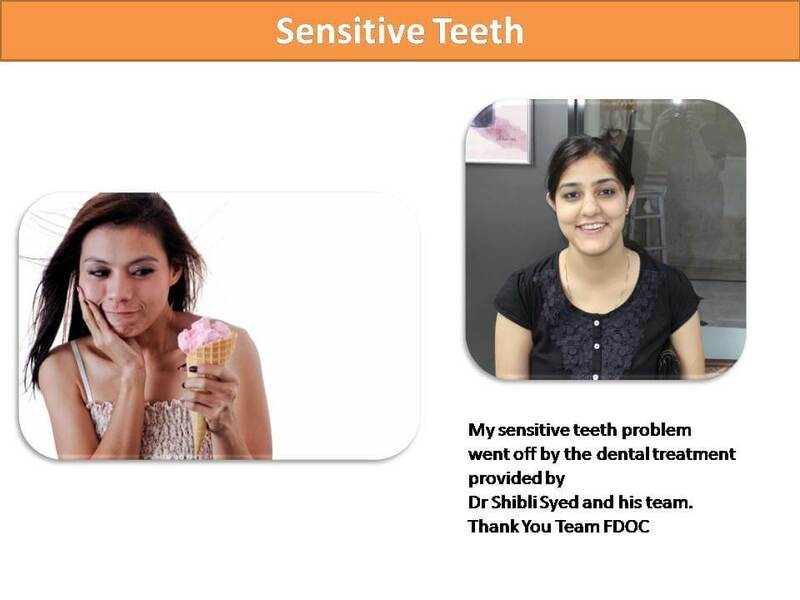 However, sensitive teeth may indicate an underlying Dental problem requiring prompt care by a dentist. See your dentist as soon as possible for advice. Yes. Brushing too hard can lead to receding gums. Over time, it can also lead to wearing away of the tooth, which is another way dentin becomes exposed, causing sensitivity. Can tooth whitening cause sensitivity? Tooth whitening treatments are becoming increasingly popular. Typically, the ingredients in the products used for whitening are hydrogen peroxide or carbamide peroxide. These are usually administered through a specially made tray (similar to a gum-shield). As the whitening agent is broken down, oxygen gets into the enamel on the teeth and the tooth color is made lighter. Tooth sensitivity is widely recognized as being associated with tooth bleaching procedures. There is no exact science to predicting if you will experience sensitivity but reports suggest that up to 80% of patients using bleaching will experience some sensitivity. Be sure to discuss this with your dentist prior to any treatment. How are sensitive teeth treated? Sensitive teeth can usually be treated with anti-sensitivity toothpaste . How long does it take to get relief? How long will the relief last? Speed of relief will vary from person to person. On average, users experience relief after two-four weeks of usage of sensitive toothpastes or gel.